You are in for some amazing experiences. 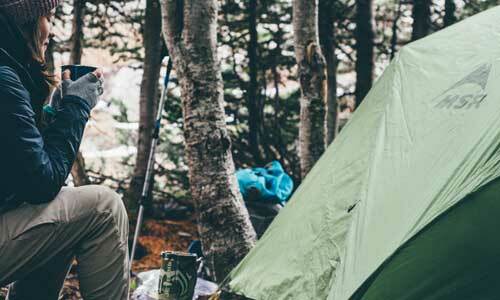 Of course, you might hate backpacking and decide it’s not for you. That’s okay, too; at least you’re willing to try something new. When you’re just getting started backpacking, it can seem like there is a lot to learn. There is; I’ve been backpacking for years and I’m still learning new things. However, you don’t have to master it all at once. Spend a little time learning the backpacking basics, and you’ll be fine. The more you do it, the more you’ll learn and develop your own style and preferences. Probably the best thing you can do when getting started backpacking is to plan a trip with an experienced backpacker or group that can teach you backpacking basics firsthand. 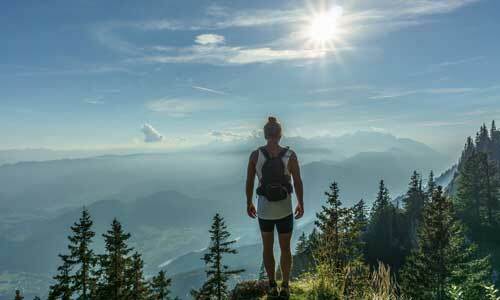 You can find a class on backpacking for beginners through your local college or outdoor store. The main backpacking basics rule for getting started is to start small. Plan a short overnight trip, close to home. Choose an easy, well-marked trail without a lot of elevation gain. 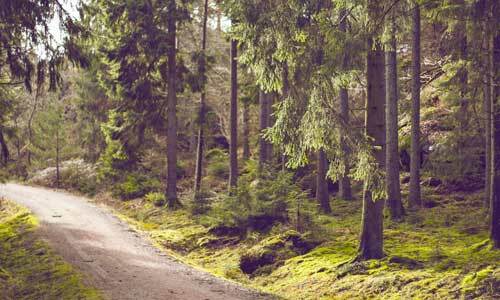 Plan to hike no more than 7 miles per day. Learn as much as you can about the area you’re going to. Look it up online, buy a trail guide, talk to friends or local outdoor store employees. 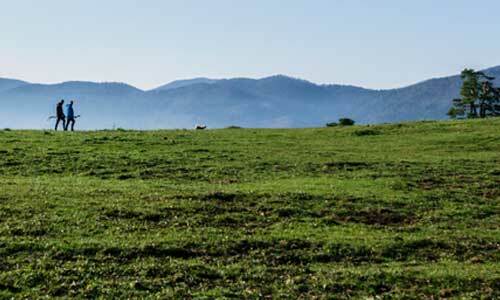 Most backpackers are eager to share information about the trails they’ve been on. You’ll want to know how steep and how rugged the trail is, what kind of weather to expect, available water sources, what kinds of wildlife you might encounter, and what kinds of insects to prepare for. Make a written trip plan, detailing where you’re going, who you’re going with, and when you’ll be back. Leave this with a trusted friend, then don’t deviate from it unless absolutely necessary. Stay on the trail or very close to it so if you run into trouble, you’ll be easy to find. Backpacking can be strenuous — you’ll be carrying a heavy load, uphill, for miles at a time. Assess your physical condition and do what you can to get in shape ahead of your trip. The best thing you can do is simply to walk every day, uphill if possible, preferably with a fairly heavy pack. Don’t overdo it — this is supposed to be fun. Don’t worry too much about getting in shape ahead of time, though. If you can do it, you’ll be better off, but the truth is that many experienced backpackers don’t do anything special to prepare for hiking. My own routine is to “get in shape on the trail” by starting the season with a couple of easy day hikes, then an overnight trip or two, and finally some longer trips. Expect some soreness at first — it’s more than compensated by the pleasure of being outdoors. The first rule of clothing for backpacking is no cotton. (Exception: dry, hot desert climates). Cotton doesn’t insulate when wet, and it dries very slowly — a bad combination. Wool or synthetic clothing is a must in the backcountry. Much athletic clothing is synthetic and can be used for backpacking. The second backpacking basics rule for clothing is layering. For your torso, you want a baselayer (t-shirt), midlayer (fleece sweater or jacket), and outer layer (waterproof, breathable jacket); for your legs, get shorts, long pants, and possibly long underwear for cold nights. You can normally do without waterproof pants unless you expect very wet weather. Also, I highly recommend a wool hat and light fleece gloves. An extra pair of dry socks makes a big difference at the end of the day. You don’t have to spend a ton of money to get started backpacking, but you should think about investing in a good pair of hiking boots. Nothing will ruin your trip faster than the blisters created by ill-fitting boots. You want a quality mid-weight boot with good support. 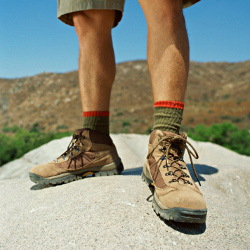 Try them on at the end of the day (feet swell during the day), and wear your hiking socks. Fit is very important; your heel should fit snugly without slipping, and there should be plenty of wiggle room for your toes. Walk around the store for awhile with the boots on to see how they feel; if you experience any discomfort, keep looking. Unless you’ll be hiking in a hot, dry climate, I recommend waterproof boots like the New Balance hiking boots. Hiking in wet socks is no fun. Pat adds: No matter how great your boots are, changing into a pair of comfortable camp shoes is wonderful after a long day of hiking. Choose your favorite sandals or flip flops in hot climates, or some well-broken-in, loose-fitting sneakers with soft comfortable socks in cold climates — something to walk around camp in that will soothe your tired feet. Backpacking, for beginners, becomes complicated when it comes to choosing equipment. 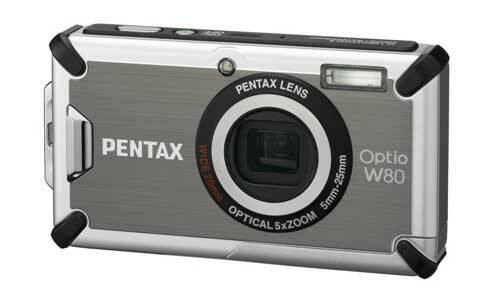 There are so many different kinds of gear; how do you know what to get? Also, gear can be expensive. Consider borrowing from a friend or renting from an outdoor store, especially if you’re not sure you’re going to like backpacking. Here’s another item where the right fit is crucial. Using a cloth tape measure, measure your torso from the c7 vertebrae (the one at the base of your neck that sticks out when you tilt your head forward) to your waist at the iliac crest (the top of your pelvis). 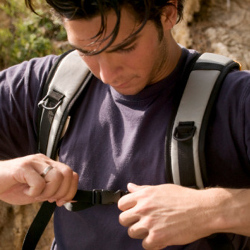 Use this measurement to choose the right length backpack. For an overnight or weekend trip, you’ll want a pack with a 3000-4000 cubic inch volume. Consider buying a rain cover if you expect wet weather; you can also use a thick plastic bag (like a trash bag) as a liner. 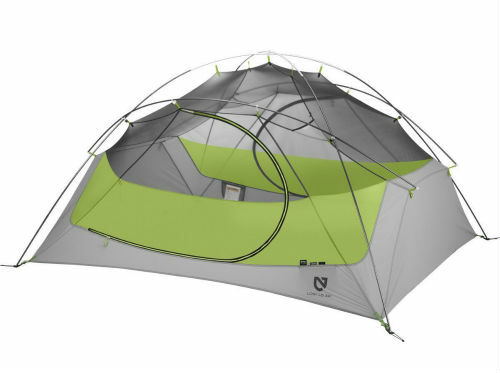 A quality backpacking tent is a must. Choose one which is reasonably lightweight — 4 to 5 lbs for a 2 man tent — with a full coverage vestibule. A dome tent is the easiest to set up. Tent dimensions vary considerably; set it up and get inside before you buy, especially if you are a tall person. Choose a sleeping bag that is rated 10 degrees colder than the coldest temperature you expect to encounter. A 20 degree bag is usually sufficient for most people’s needs. Unroll it in the store and get inside. It should be snug, not cramped. Down bags are more expensive but lighter and longer lasting. Synthetic bags are cheaper and better for wet weather (down loses its insulating power when it gets wet). Look for a lightweight sleeping pad that is at least 1 1/2 inches thick. The Ten Essentials are 10 safety items (actually, ten systems) you should always carry to ensure a safe trip. No article on backpacking basics would be complete without them. 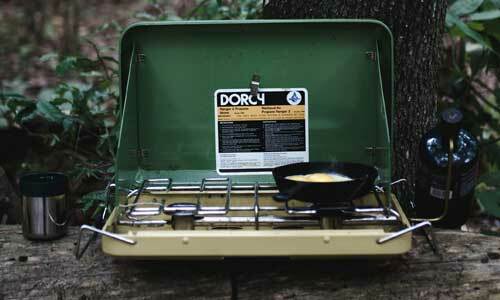 Stove – a small, light canister stove is simple and easy to operate. Fuel – one canister will last for a weekend. Pot – keep it simple with one light, small pot. Bowl – save a plastic margarine or Cool Whip tub to eat your meals in, or buy a lexan bowl. Cup – GSI Mugs are light and tough. Eating utensil – the Light My Fire spork is an excellent tool with a spoon, fork, and serrated edge for cutting cheese or sausage. Biodegradable soap – for cleanup. A small scrub sponge helps too. Proper hydration is very important in the backcountry. A water reservoir is a very convenient way to get your fluids while on the move. Plastic bottles, canteens, or stainless steel bottles are popular ways to carry extra water — you can even get custom water bottles! A very light and cheap (though less durable) option is to use a 2-liter soda bottle and one or two cheap plastic water bottles. Backpacking food should be calorie-dense, nutritious, and non-perishable (or close to it; many perishable foods like cheese or bread can last several days on the trail). Some good food ideas are instant oatmeal, bagels, trail mix, protein bars, dried fruit, jerky, nuts, nut butter, tortillas, chicken or tuna in pouches, chips, quick-cook pasta (angel hair) or grain (couscous), and freeze-dried or dehydrated meals. Food you buy in boxes or cans should be repackaged in tightly sealed plastic bags to reduce weight. Plan your food carefully; you should not have to carry more than 2 pounds of food per person, per day. The water you get in the backcountry must be purified, because it can contain bacteria, viruses, and/or parasites which can make you sick. You can use a water filter (convenient but heavy) or chemical treatment such as chlorine dioxide tablets (light but inconvenient; requires a 4-hour wait) or iodine (leaves a funny taste; some people are allergic to it). You may want a wide-brimmed hat to keep the sun off your head and neck; or use sunblock. Be sure to bring insect repellent, at least 30% DEET. A combination sunblock/insect repellent lotion simplifies things, although it’s not the optimal solution since each should be reapplied at different intervals. The same biodegradable soap used to wash dishes can also be used to wash your skin and hair. A toothbrush and small toothpaste tube are important, and dental floss is very handy (it can be used for sewing as well). Small travel packs of facial tissue are also very useful. Deodorant and other personal products depend on how clean you want to be, and how much you’re willing to carry. A trowel and toilet paper are necessary for the unpleasant but unavoidable need to poop in the woods. Don’t bring them all! Just choose the ones that will add the most enjoyment to your trip. Electronic devices don’t like moisture; pack them in durable waterproof bags (Ziploc freezer bags work well). Use a backpacking checklist to ensure you don’t forget anything. Pack your backpack carefully to ensure the best load transfer. Start with clean, dry socks, and pay attention to what your feet are telling you. If you develop a “hot spot”, stop immediately and apply moleskin. If your feet sweat a lot, taking off boots and socks at rest breaks will help dry them out. Change into dry socks at the end of the day. Start by dressing lighter than conditions demand; you’ll heat up quickly once you get moving. At rest stops, put on a sweater or jacket right away. Wind on a sweaty back will chill you down quickly. Remove layers as soon as you start to overheat to prevent excessive sweating. Drink water frequently, and snack regularly to keep your energy up. Keep a steady, comfortable pace. Remember the tortoise and the hare? Be the tortoise. If you can’t carry on a normal conversation while you walk, you’re going too fast. Learn how to read a map and use a compass. Pay attention to signs and landmarks. If you lose the trail, stop and backtrack immediately until you find it. If you can’t find it, you are lost. Set up your camp as a triangle with your food cache, sleeping area, and water source each at least 200 feet away from the others. Set up your tent in a sheltered area on level, hard ground (to prevent damaging fragile plant life). Avoid depressions where water can pool. 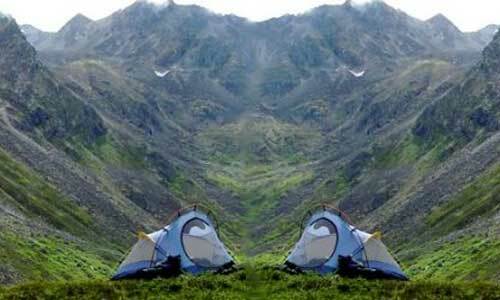 Also, avoid pitching camp on a valley floor or an exposed ridge; these are the coldest places to camp. Keep it simple. Freeze-dried meals are easy, though expensive. Try quick-cooking, one pot meals. Never cook inside your tent. Fumes from the stove can asphyxiate you, and the last thing you want is to set your tent on fire, with you in it! In inclement weather, you can cook, very carefully, in your vestibule. Food odors can attract animals. Be careful not to spill food on your clothes, and never store food in your tent. Store food and any scented toiletries (toothpaste, for example) in a bear-proof container or plastic bag at least 200 feet downwind from your tent. Speaking of animals, don’t ever feed them. It may be fun at the time, but it creates all kinds of problems. Animals who become habituated to human food may lose the ability to forage for themselves and become a nuisance. Keep the wilderness beautiful for everyone by packing out all garbage. Stick to the trail and designated campsites, to avoid damaging fragile plant life. Only start a campfire in a pre-existing, designated fire ring. If you do start a fire, use only dead and downed wood, and burn the wood down to ashes. I hope these backpacking basics help you discover the joy of backpacking. The more you do it, the more you’ll learn about gear selection, trip planning, and your own abilities and preferences. Keep reading, talking to other backpackers, and finding new places to go. You’ll be a pro before you know it!